Check out the before and after pictures to see what a difference a new set of alloy wheels could make to your car! From only £500 (Wheels only) We offer economy and mid-range and premium brand tyre packages please call us on 01384 898014 for prices. The FX004 wheel from Fox is a stylish multi spoke style rim. This on trend looking wheel offers a great finish. LTC tyres and Exhausts supply and fit Tyres, Exhausts, Brakes,Wheels, Wheel bolts, Wheel Nuts and Much more. 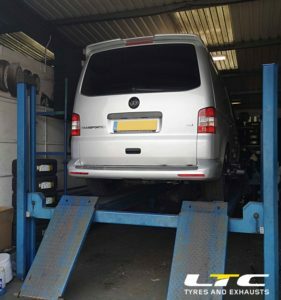 LTC Tyres & Exhausts is a family-run business established in 1991, consisting of three branches, all located within the Black Country area of West Midlands. We pride ourselves on offering our customers a friendly service. No job is ever too small and we are always happy to help. Many of our customers have used our services for over 25 years and this is something we are extremely proud of. 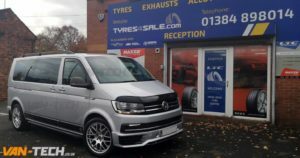 Our aim is to offer customers a pleasant waiting experience in clean modern premises with highly trained technicians using the latest tyre fitting equipment.